I aim to create live, dynamic, interactive, and physically compelling experiences in a world full of seated, on-demand, in-your-hand entertainment. I draw on my international background in mime, dance, puppetry, teaching, and clown to build work both virtuosic and accessible. I want to integrate the audience into the experience, not only as viewers, but as participants. I develop each new piece in a way that allows the audience to contribute both to the process and the performance. In an effort to make work that is both topical and dialogical, I start with a question; something too complex to know the answer, something integral to my life, constantly on my mind, often making me burn or cry or both. Usually it’s something that scares or embarrasses me, but when I tease it out, I find others eager to discuss it. Rather than simply airing my own opinions and conclusions, I draw on our collective wisdom to develop the question. I want to see how it is reflected in the lives around me. So I begin with interviews. The resulting work strives to be both entertaining and socially engaged. It is a reflection of the diverse and diverging views that come up in the interviews and other crowd-sourced questions. I do not seek a concrete, universal answer, but rather to challenge our assumptions and bring people together over our otherwise isolated human struggles. Emma is a performer and generative artist. She has been called a “splendid mover” (The Washington Post) and “a master of her craft” (Baratunde Thurston). She strives to create original, physically compelling theater that directly engages the audience. Her work has been categorized as everything from clown to performance art and lots of juicy things in between. She has performed in New York at Dixon Place, The Brick, Robert Wilson’s Watermill Center, and HERE Arts Center. 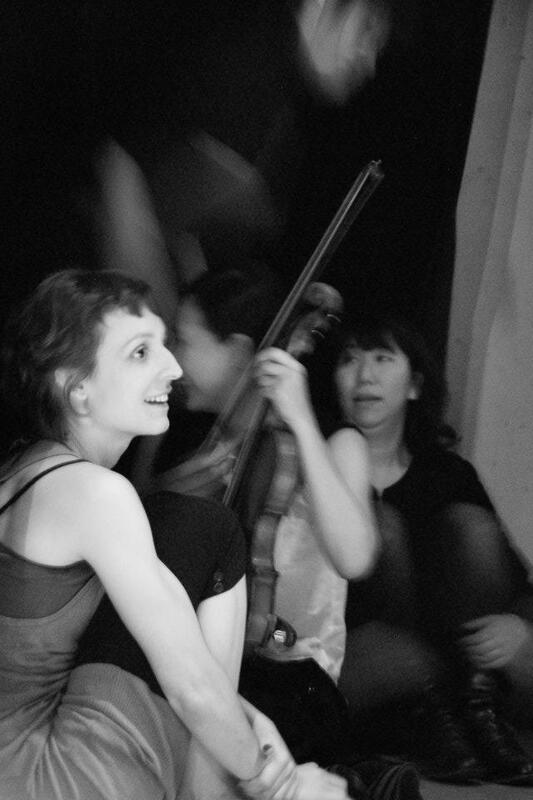 She has worked with Cie. Pas de Dieux in Paris, Natanakairali Institute for Sanskrit Theater in India, LaMama’s International Theater Symposium in Italy, and U-Theatre, a Grotowski-based Zen-drumming troupe in Taiwan. She has choreographed for dancers, actors, students, & puppets. She received her degree in theater and dance from Amherst College and credits the blissful melding of these two forms to her time at the Lecoq school in Paris. She is the recipient of two Roland Wood Fellowships for independent graduate study in theater and dance, a HARP artist residency at HERE Arts, and an artist fellowship from the DCCAH which funded the initial development of her last work, To Know a Veil (“Jaster has created the kind of performance for which the 21st century is going to be very hungry” -playwright Gwydion Suleibhan). She has recently relocated to the Bay Area and is eager to share and create new work here.